You'll be £4.99 closer to your next £10.00 credit when you purchase Towton. What's this? The battle at Towton in Yorkshire on 29 March 1461 was the largest, longest fought and bloodiest day in English medieval history. 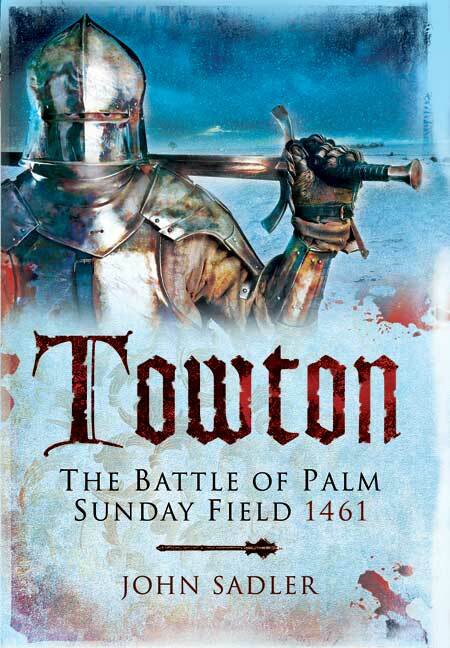 In terms of the number of troops involved, the ruthlessness of the fighting, the quantity of casualties and the decisive nature of its outcome, Towton stands out from the long sequence of battles fought for control of England in the fifteenth century. This bitter contest of arms was a turning point in the Wars of the Roses and - as a result of the discoveries of modern archaeological research - it is one of the best known. John Sadler, in this vivid reconstruction of the battle, offers a fresh view of a pivotal episode in English history and an unflinching insight into the cruelties of medieval warfare. As featured in the Northern Echo. This new book provides a vivid reconstruction of a bloody fight of attrition. The main body of the text and the photo plate section provide an engaging narrative, supported by timeline tables, maps, notes and a preface. As an account of this immensely important English battle, the book will be very difficult to better and makes many earlier accounts dated and no longer applicable.